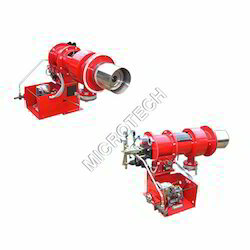 Offering you a complete choice of products which include dual fuel oil gas burner. Our offered Dual Fuel Oil Gas Burner is created with use of industry grade components and under the guidance of highly experienced engineers. This is highly efficient and super combustion industrial burners that comes with a pressure jet burner with servo mechanism for the oil and air controlling. Additionally, allows having flexibility of fuel selection and can be used for multi fuels. Natural gas firing 0.5 Million Kcal to 11.5 Million Kcal/Hr.